Something wicked is about to begin. Netflix has released the opening credits Wednesday for the upcoming “Chilling Adventures of Sabrina” from “Riverdale” showrunner Roberto Aguirre-Sacasa, which is a direct nod to the comic books, borrowing artwork from the graphic novels and also hinting at what viewers can expect in the new series, which is out on Netflix on Oct. 26. 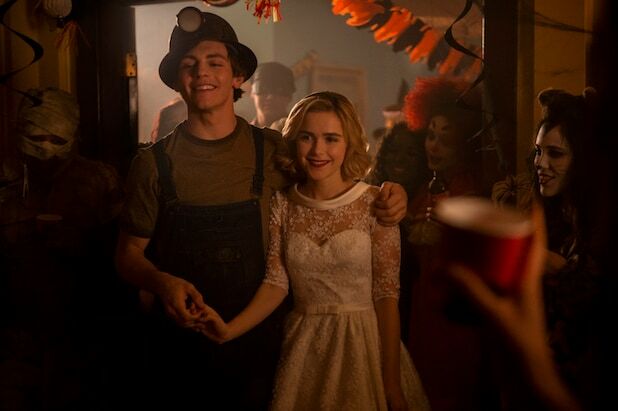 The video features Sabrina’s eyes carefully watching over Greendale and introduces characters like Harvey Kinkle (Ross Lynch), Ambrose (Chance Perdomo) and Prudence (Tati Gabrielle) as creepily as possible. 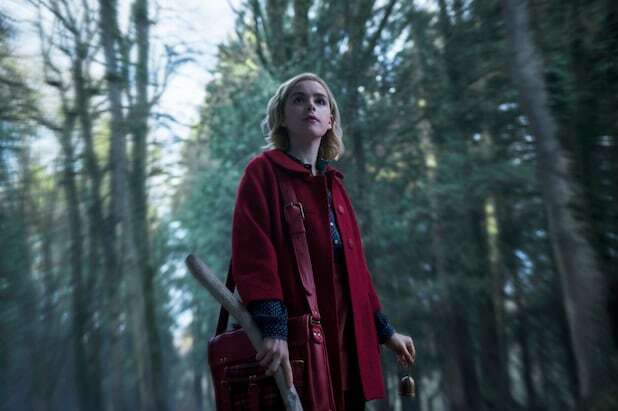 Readers of the comic books will recognize certain key scenes in the background, including when Hilda (Lucy Davis) and Zelda (Miranda Otto) move Sabrina to the mortuary in Greendale, as well as the evil woman conjured up by some Riverdale cheerleaders. Watch the opening credits below.